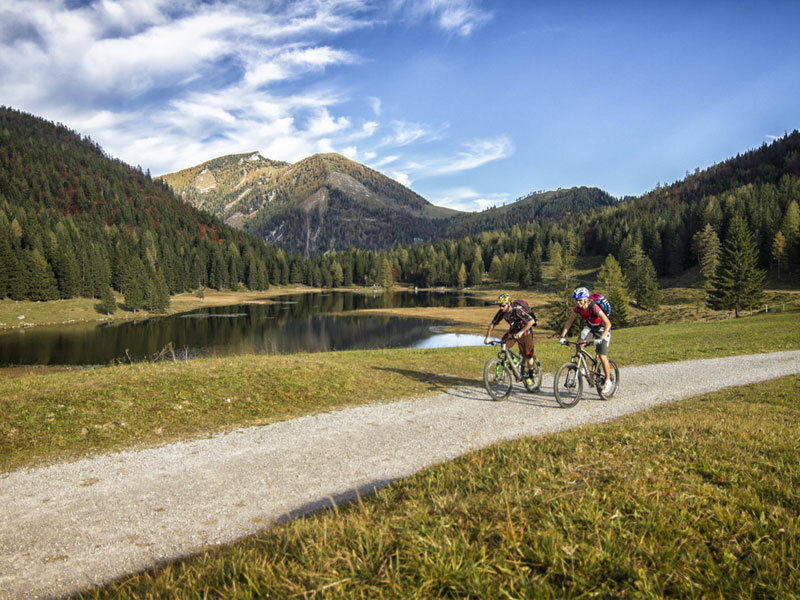 For fans of outdoor sports, as well as for nature- and culture-lovers, the holiday region on and close to Pass Lueg offers a wide selection of enjoyable opportunities. Countless variety-filled hikes and tours are certain to appeal to all tastes. 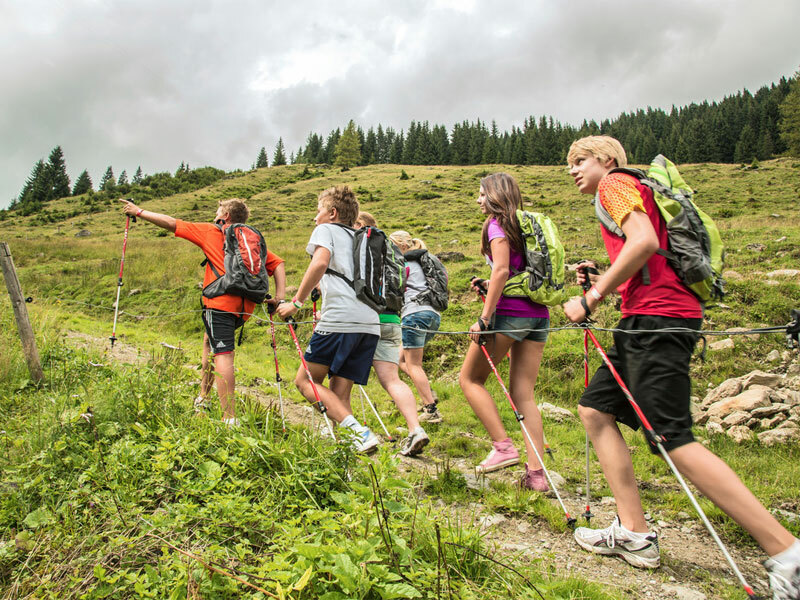 In total, Golling boasts over 100 km of marked paths that lend themselves both to hiking as well as Nordic walking. 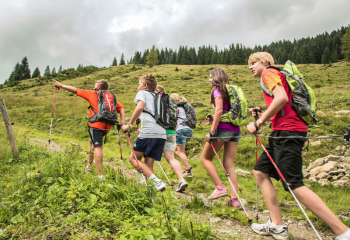 Furthermore, our hotel is located right next to a long-distance hiking trail known as the SalzAlpenSteig. 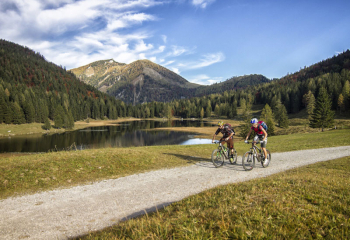 Salzburger Land surprises cyclists with biking opportunities of every kind imaginable. 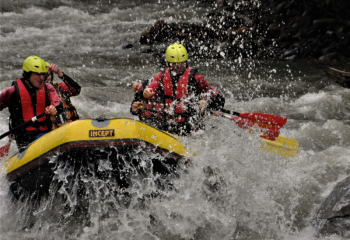 Whether laid-back and leisurely, slightly more challenging, or sporty through-and-through. Idyllic excursion destinations such as Golling Waterfall, Bluntautal Nature Sanctuary and Egelsee are all easy for the whole family to reach by bicycle. 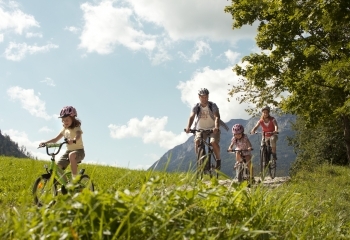 Or, perhaps you would like to ride on the Tauern Bike Path alongside the River Salzach and all the way into Salzburg. Whether you only go fishing every now and then, or if you are a “serious” angler, in and around Golling you will find some truly magical opportunities, including fly-fishing in the Torrener Ache or “regular” fishing in the Bluntausee. Fishing permits for the Torrener Ache can be purchased at the tourist office in Golling. 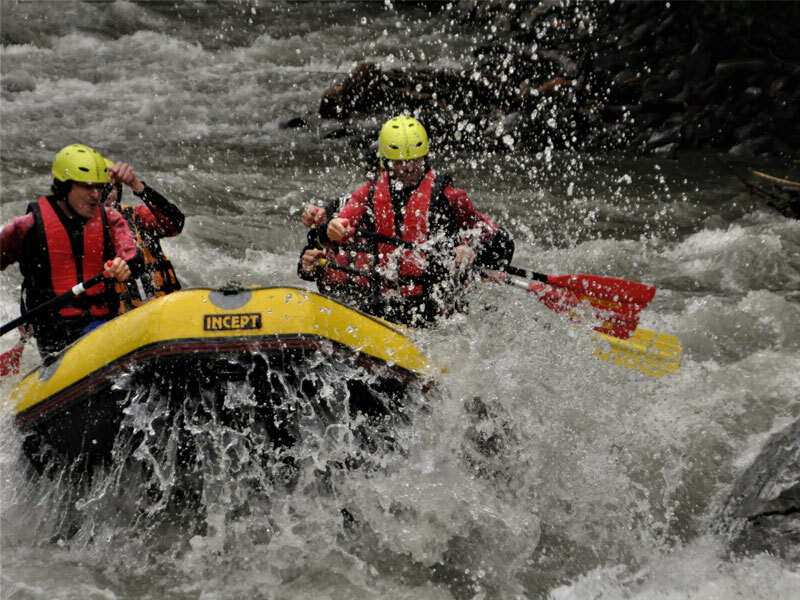 Action fans are spoiled for choices in this region, whether checking out the zip lines with Teamspirit in Salzachöfen Gorge or taking part in a canyoning or rafting tour with Torrent Outdoor Experience. Numerous swimming pools and spa resorts, such as Sauna- & Wellnessparadies Aqua Salza, Heiltherme Bad Vigaun, Therme Amadé, Alpentherme Gastein and many more, are located in the immediate area. Our tip: why not combine a trip to a sightseeing attraction with a visit to a spa resort – guaranteeing you an whole day filled with all the variety you could possibly wish for. Why not combine your stay with us with a shopping tour in the area! Market Street in Golling, with its colorful houses, invites visitors to stroll and shop regardless of the time of year. With its fashion, sports and folkwear shops, as well as a wide selection of other smaller stores, there truly is something here for everybody. 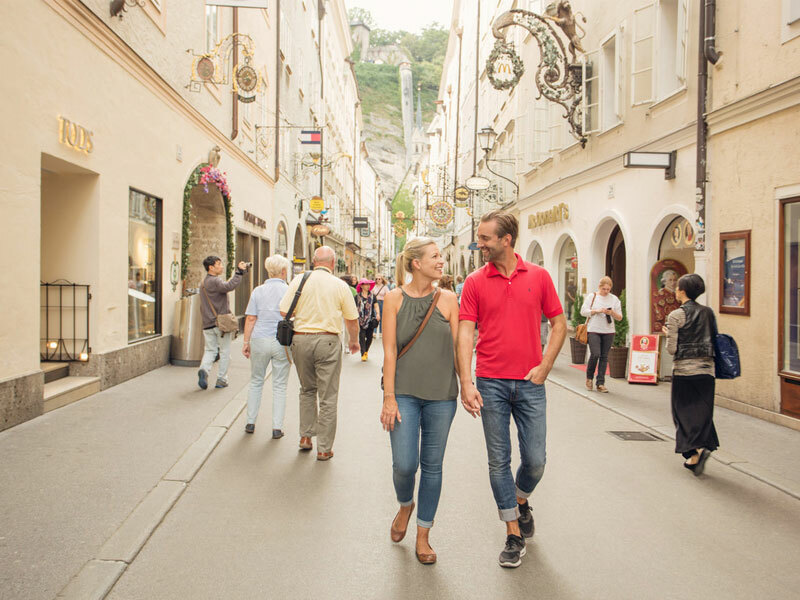 Or if you prefer, take a walk through the historic part of Hallein and, inside historic houses, discover unique boutiques with their lovingly designed display windows. 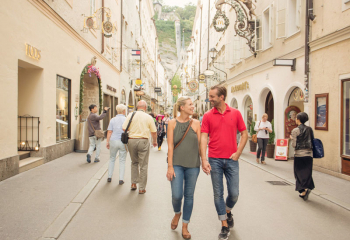 Or, perhaps you would like to make your way into Salzburg and combine your visit with a shopping tour of the Getreidegasse, the Europark mall or the Outlet Center. 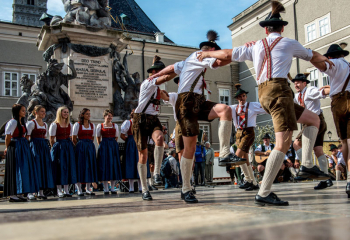 Numerous cultural, sporting, culinary, musical and traditional events take place in and around Golling throughout the year. 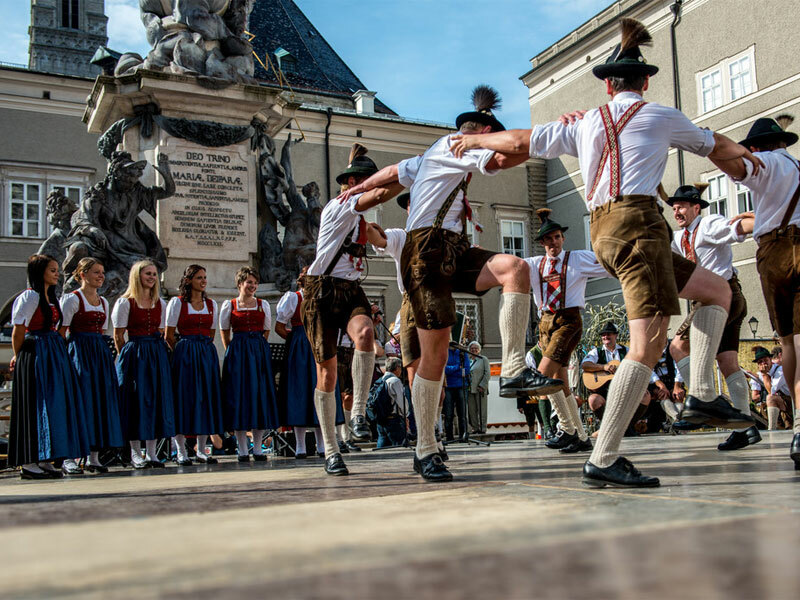 These include the festival at Golling Castle, numerous music and dance events up at Golling Castle , the HayART Festival in Lammertal, the world-famous Salzburg Festival and many more.